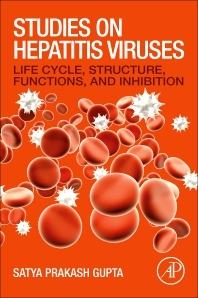 Studies on Hepatitis Viruses: Life Cycle, Structure, Functions, and Inhibition presents the latest on this systemic infection that predominantly affects the liver with inflammation that can be acute or chronic. Hepatitis viruses have been the subject of intense study in the last twenty years, with a wealth of information related to their lifecycle, structure, functions and inhibition being presented. This book compiles the most important developments and research, giving users a very useful guide on this evolving area of virology and medicinal chemistry.